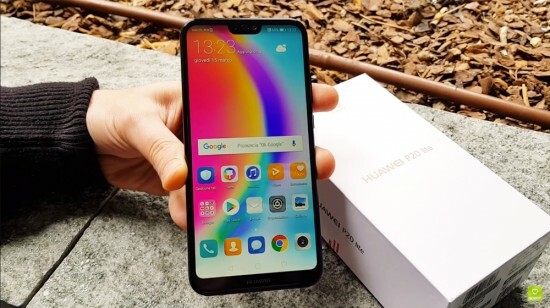 The newly released smart phone, Huawei P20 Lite was expected to launch in the market with the variants like P20 and P20 Pro on 27 March and this smart phone is available in Italy. It is expected that this smart phone will be available in Paris on 27 March. Huawei P20 Lite is confirmed to have the iPhone X style on top and it has the similar design. The Lite version of the handset is not supposed to have the competition with original iPhone and it brings the premium iPhone X design and to the mid range. The base versions of the handset are P20 and P20 Pro and they will have the features of top of line specifications and it will compete with the flagships of this year. The smart phone has many features as the fingerprint sensor is provided on the rear side on P20 Lite. There are some other specifications of this handset, which are 5.84 inch Full HD+ display, 4 GB RAM, Kirin 659 processor and 64 GB storage capacity in this smart phone. It has the 16+2 mp Rear cameras with 16 MP front shooter. The capacity of the battery is set at 3000 mAh like Mate 10 Lite. The viewers can also find the leaked version, which has hefty price of €369.99 and it should be lower once P20 and P20 Pro are officially launched in about two weeks. The Lite version of the Huawei handset is midrange phone and they have the moderate specifications. The viewers will find the leaked specifications of Huawei P20 Lite.